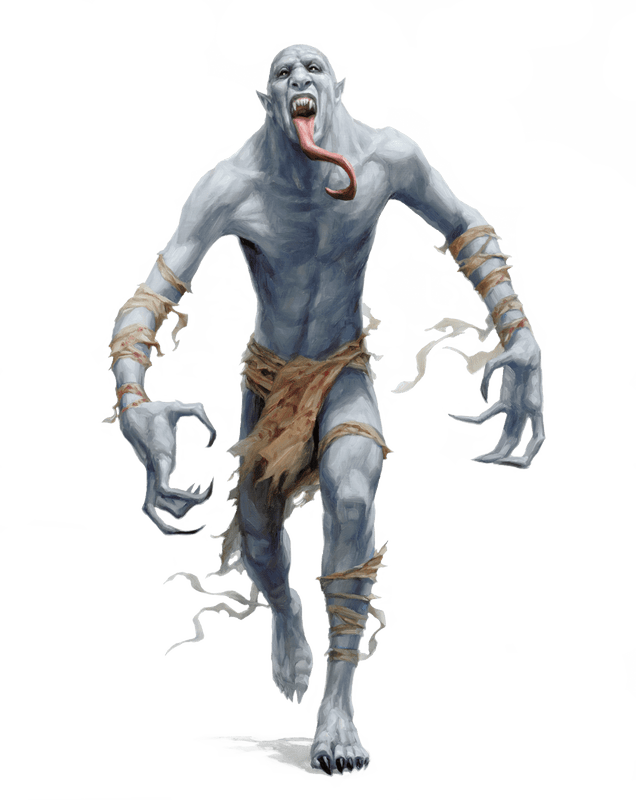 Wicked Wednesday: Monster Manual Impressions – I.E. It has been a couple weeks since I finally got my hands on the Dungeons and Dragons 5th Edition Monster Manual. While I am not going to do a full review, I do have some thoughts on the book as I prepare my convention hexcrawl The Valley of the Tombs for the Carnage Convention in Killington, VT next month. It is ugly and doesn’t look a thing like a Colossal Squid of Doom. One thing I found problematic with the 5E MM, especially as I worked to populate the above mentioned Valley of Tombs, was the poor indexing of the monsters. There is no list of monsters by terrain type — or even type in general. Nor is there a list of monsters by Challenge Rating, though a PDF is available on the Wizards of the Coast Web Site. Above all else, a game manual, particularly a Monster Manual, is a tool and it should, in my opinion, be designed for maximum utility both in play and during preparation. 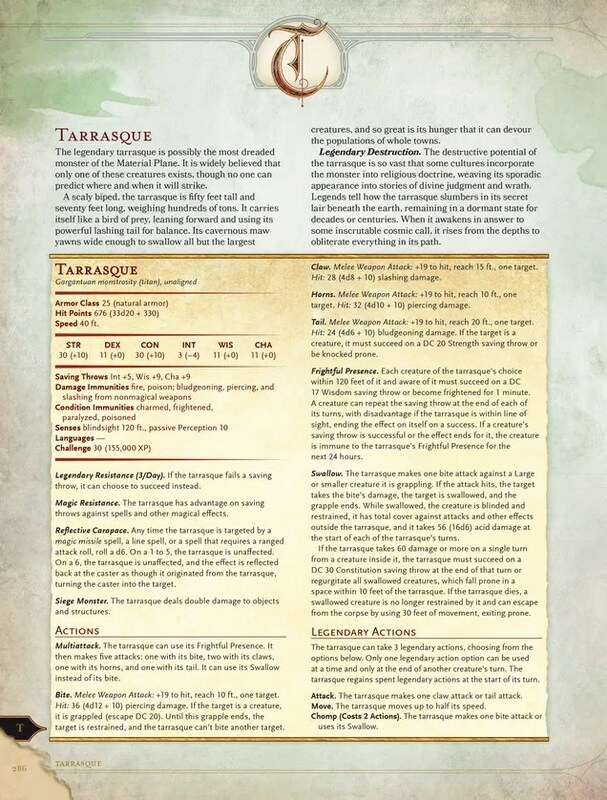 Compare that to the Pathfinder RPG Tarrasque and you can see what I mean (note the list of Feats you have to look up in addition to all the basic monster stats). The addition of an animal/beast and an NPC appendix are also great, except that it is difficult to find what you are looking for sometimes based on the alphabetizing choices made (ex: all the giant versions of regular animals are listed under “giant x” rather than “x, giant”). One place where the 5E MM pales in comparison to the AD&D 2E version is the lore, or “fluff” that it presented. Lore is certainly presented, and some of it is good, but it does not evoke the complex quality of the old 2E flavor text. I understand that books are different now. If nothing else, layout is different and far fewer words fit on a page. 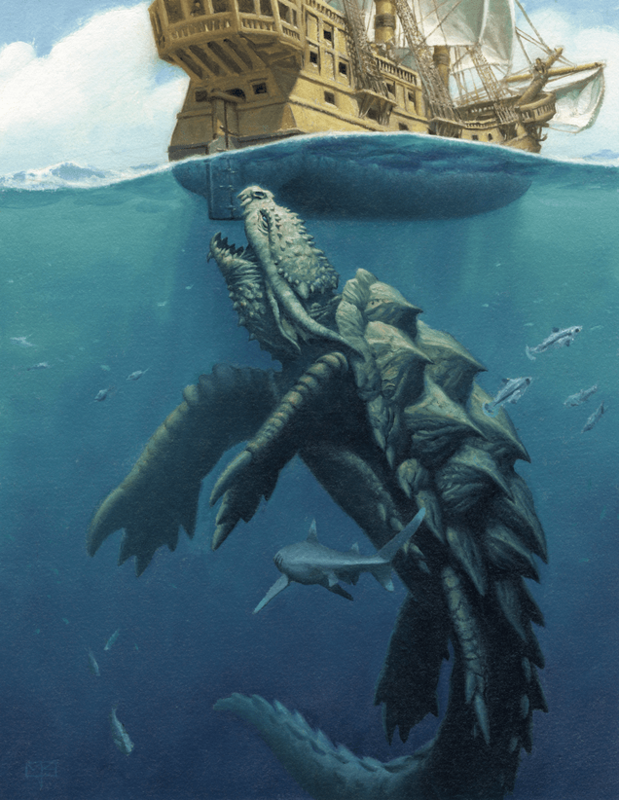 The 2E MM was crammed full of text under a very brief stat block and a small illustration, while the 5E MM uses larger fonts and bigger spacing and much far bigger illustrations. Therefore, in order to fit as many monsters as possible in the book, the text sometimes suffers. That said, so far I have not run across any flavor text I feel is objectively poorly written, though I do find some changes in the lore to be circumspect (Merrow are now demons, rather than aquatic ogres?). Overall, I like the book very much and it invigorates my enthusiasm for 5E. I am especially excited to be running 5, 4 hour session of 5E at Carnage. If you are in VT between November 7 and 9th, be sure to come and check it out! AFTERWORD: I wanted to apologize to me reader (that’s a joke, son) for the sparse updates. Between taking engineering courses, fall baseball for my son and a little bit of writer’s block/insecurity, I have not been great about updating. I’ll make an effort to do better. Thanks for reading! This entry was posted in Gaming, Roleplaying Game Writing and tagged Carnage, D&D5E, Dungeons and Dragons 5th Edition, Monster Manual, monsters, The Valley of Tombs, Wicked Wednesday. Bookmark the permalink.